We are delighted to welcome author Rachel Amphlett to Omnimystery News today. Rachel has a new political thriller being published next week, Look Closer (March 2015 trade paperback and ebook formats) and we recently had the opportunity to spend some time with her talking about it. Omnimystery News: Introduce us to the lead character in Look Closer. Rachel Amphlett: Will Fletcher is quite an unassuming man to begin with — I wanted to write a thriller that was the classic 'ordinary man in extraordinary circumstances' scenario, to see how someone with no specialist skills or training would react in his situation and adapt. OMN: You write both series thrillers and stand-alones. When starting a new book, how do you decide which it will be? 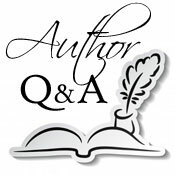 RA: A storyline will pop into my head and I'll quickly know whether it's something that suits the Dan Taylor series, or one that is more suited as a stand-alone. The Dan Taylor series is centred around protection of energy resources and infrastructure, so I've got a separate "ideas" folder for those novels, whereas my standalone novels can cover everything else. I collect news articles, make notes when I'm watching documentaries, or I'll be inspired by a photograph, and every now and again I'll go through the ideas folders to see what I've got and see where my imagination takes me. I like the fact I get the opportunity to write both a series and stand-alone novels — it gives me a chance to explore more character traits and plots. OMN: You feature strong men as your lead characters. Is this an intentional decision on your part? RA: I don't really think of it as me choosing the gender of a character — they just turn up in my head the way they do! I'll often "see" an image of a scene in my head and it's already populated with some of the characters, so I simply build my plots around that. RA: I've always got a pot of ideas — a folder in my "favourites" on my computer where I store newspaper articles pertinent to the story I'm currently writing, or ideas for future plots. These days I'll sketch out a rough plotline before I start — this can expand into what screenwriters call a "treatment" before I split out the sections into smaller parts and get the scenes in roughly the right order. Then I'll start the actual writing. The good thing about doing it this way is that if a scene isn't quite flowing well one day, I can open up another one — as long as I keep writing, that's the main thing. I can go back and fix things later. My actual writing takes place on my commute into work — I travel by train, so that gives me at least 30 minutes of solid writing time and I can usually bash out between 750-1200 words a session. It's easier going into work than coming back — the carriages are often quieter — but if I have a particular scene going round in my head that I'm excited about, I'll stick my headphones in and write on the journey home too. All I have to do then is back up my work. RA: I've got another stand-alone novel with my editor at the moment and am currently working with my cover designer on that; I'm writing the third in my Dan Taylor military thriller series, and I've started pulling together the research for another two stand-alone novels which I plan to write next year — it's never ending! Rachel Amphlett previously worked in the UK publishing industry, played lead guitar in rock bands, and worked with BBC radio before relocating from England to Australia in 2005. After returning to writing, Rachel enjoyed publication success both in Australia and the United Kingdom with her short stories, before her first thriller White Gold was released in 2011. For more information about the author, please visit her website at Rachel Amphlett and her author page on Goodreads, or find her on Facebook and Twitter. How far would you go to protect a secret? How far would you go to expose a lie? Will Fletcher seems to have it all – perfect job, perfect life. Then in one act of extreme violence, his world is turned upside down. A bungled assassination attempt on a London street uncovers a disturbing conspiracy fuelled by organised crime and political ambition. Now, Will finds himself on the run, pursued by a dangerous enemy who will stop at nothing to protect his employer's past. The only way to stop the chain of events is to follow a trail of clues that lead to the heart of British politics. With the date for the UK General Election only days away and the killers closing in, Will is running out of time to deliver his own version of vigilante justice and expose the corruption. As the web of lies and deceit unravels, Will knows the answer's out there. Everyone has secrets. Everyone lies.